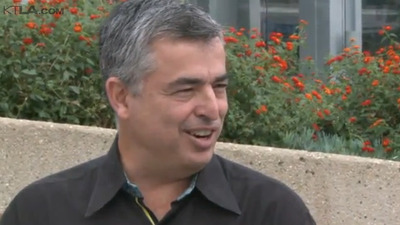 Why Did Apple's Eddy Cue Turn Up On Local TV To Buy An Egg White 'Sangwich'? KTLACue turned up on a local news channel to talk about Apple Pay on Monday. Apple’s marketing power is huge. Everything the company does is planned to the last letter — it’s a well-oiled, finely tuned machine. Why, then, did Apple’s SVP of Internet Software and Services, Eddy Cue, suddenly appear on a local California news station — which hardly anyone, globally, will have seen — to go on a breezy shopping trip? 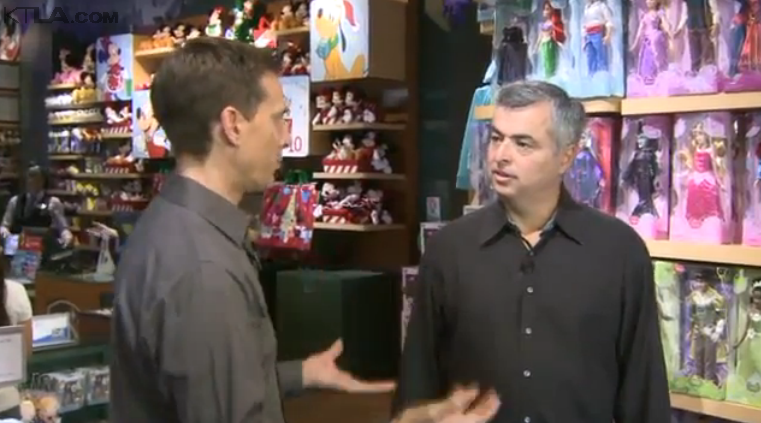 Apple Insider reports that Cue rocked up on Los Angeles’ KTLA on Monday night to show off Apple Pay. Normally, Apple delivers its top executives to just a few select international news brands that have global audiences, such as Bloomberg or the Wall Street Journal. Apple almost never lets its execs be interviewed by local media. So this is weird and interesting, at least for those of us who watch the company closely. Cue was joined by KTLA’s Rich DeMuro for the channel’s The Tech Report segment, says Apple Insider, quite simply to meet up and do “some shopping”. Cue is seen buying an egg-white “sangwich” — slang for sandwich — before going to Bloomingdale’s to pick up some sunglasses. Later, he ventures off to a nearby Disney Store to get some movie dolls, and then ends up at the local Apple Store (where else) to discuss the app. As KTLA says, Cue led a team at Apple to develop the payments system, and nearly a million credit cards were linked to the new payment system just days after it launched. It’s not without controversy, though. As Business Insider reports here, swathes of American retailers, including Wal-Mart and Rite Aid, have gone to war against the technology. Perhaps unsurprisingly, KTLA didn’t mention the battle.